Lobbyists in Missouri must register with the MEC, but there is currently no limit on how much they can spend on lawmakers. James Klahr, executive director of the MEC, says the public tends to focus on legislative lobbyists. But there are lobbyists in the executive and judicial branches, too. “An executive lobbyist is someone who actually lobbies the executive branch of state government, which would be the governor’s office and all the various state agencies that are under the executive branch. So if someone is lobbying an official about an executive action that might be taken by the governor or by some other agency, that would be the kind of person that would register with the Missouri Ethics Commission as an executive lobbyist,” Klahr said. And just as it sounds, a judicial lobbyist is someone who lobbies the judicial branch of state government. “But not in what the public might think about. It's not lobbying to get a certain result on a court case. It's actually lobbying the judiciary on budget matters. For example, if the judiciary is considering using new technology, like electronic court filing software, a lobbyist can go to the judiciary and recommend on behalf of a vendor to use a particular product or service. “So someone who's lobbying on behalf of that vendor, to say, ‘I think you should go with our product because it’s gonna make your life easier as a judge, or as a court,’ those individuals would have to register as lobbyists if they’re engaged in that kind of activity,” Klahr said. 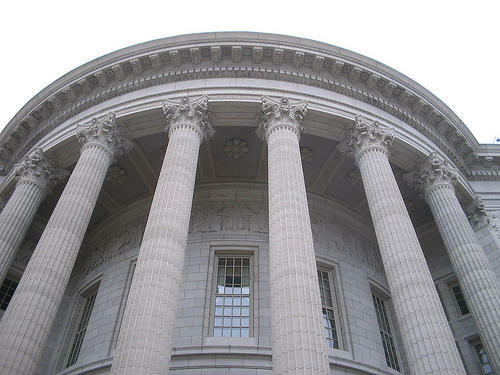 At the state level, Missouri has categories for executive, judicial and legislative lobbyists; all must register with the MEC. And of course, people who lobby lawmakers are considered legislative lobbyists. They’re typically lobbying for or against pieces of legislation that are before the General Assembly. Sometimes, they’re asking for specific action on those bills, like whether to vote it out of committee or to take a particular action on the House or Senate floor. And Klahr said under that category of legislative lobbyists, there are a few different subsets of people. “There those that are considered what I would refer to as ‘contract lobbyists.’ So, you’ve got individuals that may work for 10 or 15 different either companies or other business interests or other interests. And they lobby on each one of those interests’ behalf, depending on what the issue is the day at the Capitol,” Klahr said. Then you’ve got people who are actually employed full-time by a single organization. “For example, some of the utilities in our state, I think, actually employ full-time people who lobby the legislature, for example. So it kind of breaks down, really depending on what the lobbyist principal wants. They may want to go with a contract type person or they may want to have an in-house employee type person. And then you’ve got a bunch of people that work for not-for-profits other interests. They may be paid, they may not be paid—but because they’re still on a regular basis asking the legislature to take decisions that would either benefit their client or make some change in law, they still have to register, even if they’re not necessarily being paid anything,” Klahr said. 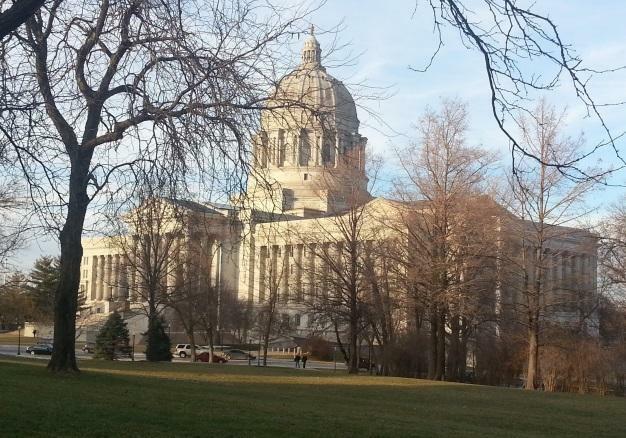 All lobbyists on the state level have one thing in common: they’re bound by Missouri law to report gifts. The idea is transparency: the public should always know who is influencing their elected officials. “So where the law stands is: if a lobbyist wants to make an expenditure—which is the word that’s used in the statute, but the public would think of it as a gift—and that could be a meal, that could be tickets to a sporting event, you know, that could be any number of things, the only real requirement right now is that the lobbyist has to report monthly to the Missouri Ethics Commission what that amount is and who it’s been expended upon,” Klahr said. And that expenditure can be made on a public official or the official’s family. So, you’ll see if you go to the MEC’s website and follow the links to reporting expenditures, you’ll notice that even if the spouse or children receive a gift, it’s supposed to be reported. This is all at the state level. There are lobbyists at the municipal level, too—and they are required to follow many of the same reporting rules.